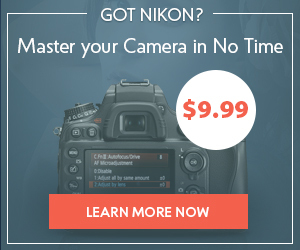 How much money do you need to keep your photographic creativeness high? $1000? Or maybe $3000? Sure, there are quite a few things that cost that much and even more–and they are strong boosters of the creative process though unfortunately not a panacea. 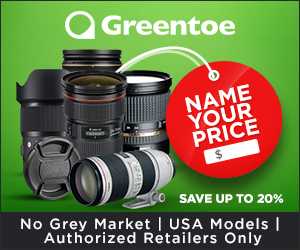 Having their eyes fixed on premium lenses and bodies, photographers often oversee many useful things that can be of real benefit to the ease and pleasure of the photographic process and will not cost you an arm and a leg. 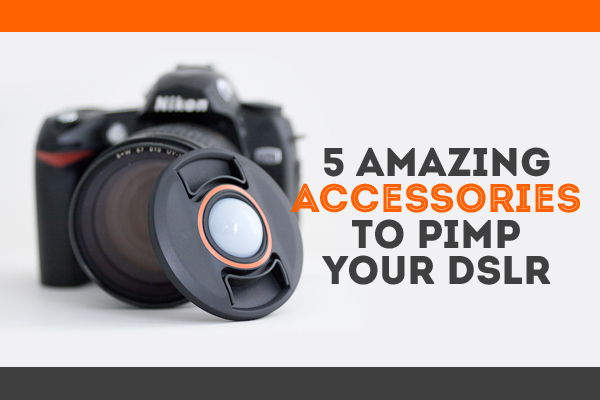 In this post, I’ve chosen 5 accessories for your DSLR that will ease your life and give you extra space for creativity. What about getting an extremely useful accessory that takes NO extra space? 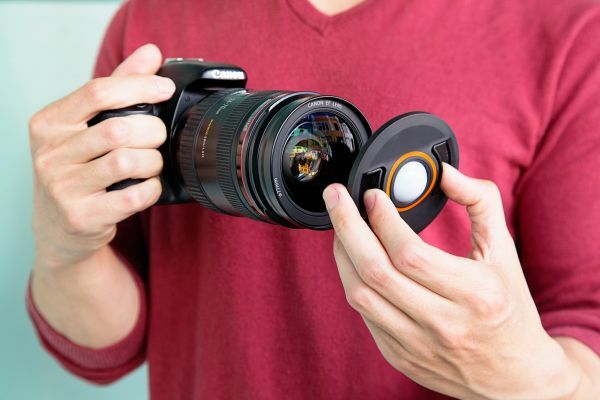 Just replace your stock-lens cap with this one–and all your white-balance, measuring troubles will seem like a bad dream. Just take a shot with this cap on–and set the custom white balance with the resulting photo. What could be easier and more precise? 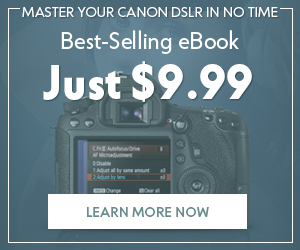 Just think of how much time it will save you–instead of picking and adjusting white balance for every photo manually. And this is what you are very likely to do if you are a photography geek like me. 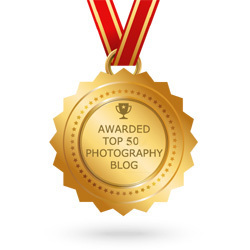 No matter how good your lens is, sooner or later, you will want to push it beyond its limits. And it it does not always mean superior sharpness or mind-blowing, focal distances. A little piece of paper can turn your ordinary night shots into funky works of optical art. The Bokeh Kit consists of 21 on-lens modifiers that will turn the out-of-focus background areas into custom-shaped highlights. In other words–the boring, blurred dots of a night city will turn into smiley faces, stars, butterflies or hearts! With a bit of creativity, you can stress the mood of the photo by choosing an appropriate shape. 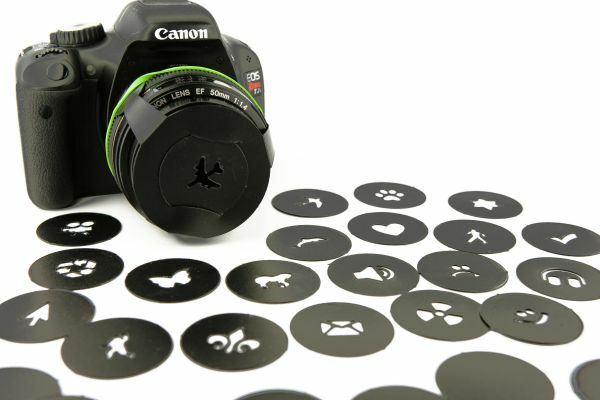 And you are not limited to the “stock” shapes–you also get a blank sheet to make up to eight of your own modifiers! 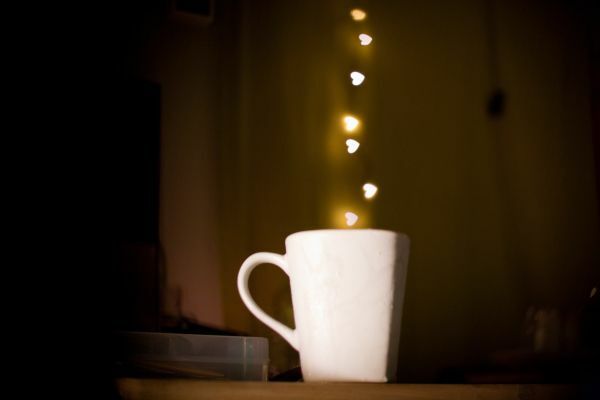 So, if you feel that your creative spirit needs a refreshment, try these bokeh-modifying mood raisers! If you are a four-handed, Indian goddess, you can skip this one. 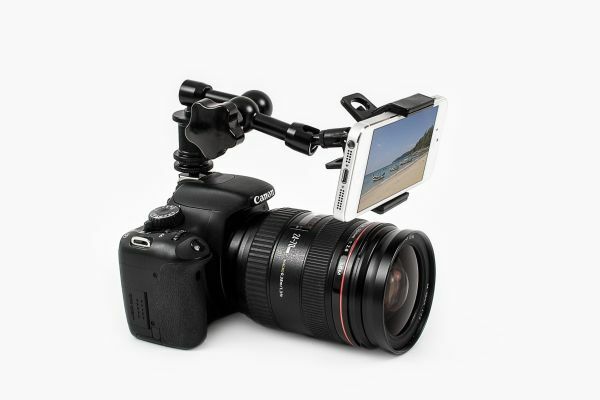 If not, you will fall in love with this camera clip that attaches to a belt or a bag strap. 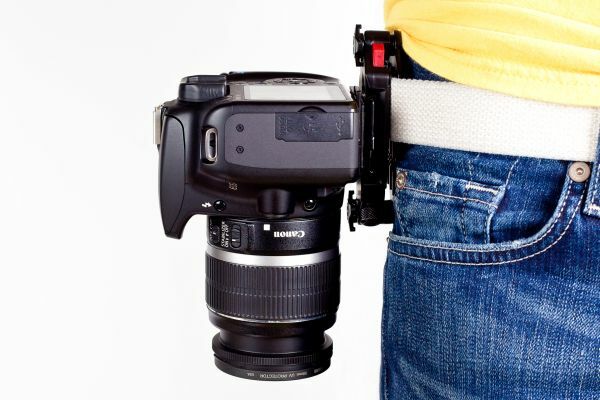 Your neck will be infinitely grateful when you finally release it from the weight of your not-so-lightweight DSLR and put it on your belt! I know you hate it when your camera is dangling from side to side on a neck strap, threatening your lens to crash against a banister. With this aluminum, heavy-duty clip, you will always be sure about the camera–and just like a good, old cowboy, you can pull it out in an instant, not missing the shot! 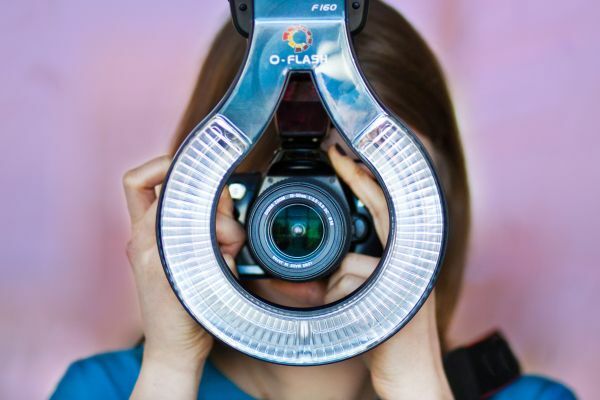 Your models’ eyes can become as round as the flash itself when they see this, but still–this flash adapter can save you in so many awkward lighting conditions. Bounce flash is great, but what if there’s nothing to bounce off? Like a night club or open air? 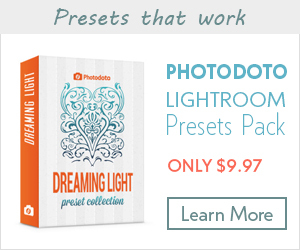 It is still no reason to reward your models with a flat, lifeless light when you can make them look as if they have been lighted by a dozen, professional studio flashes! This ring adapter makes an even source of light, similar to ring flashes so popular in fashion photography. And, since it is just an adapter that redistributes the light of the on-camera flash, no extra power sources are needed! Even though you may look like a Playstation game hero with some nuclear weapon in his hands, it’s just your smartphone attached to the camera. Why would you want to do this? There are thousands of reasons. You might want the models to see themselves with the help of the front camera of the phone. Or you might want to turn on something interesting on the screen to attract the attention of the babies, if this is what you are shooting. They usually so don’t give a sh*t about being photographed. I do not even mention hundreds of apps you can install to ease and freshen up the shoot–say, depth of field calculator or exposure meter. Maybe you already have some of this cool stuff? If so, we are waiting for your feedback on these nice little things–don’t be shy, and share your experience in the comments!